I’m writing this post from a cruise ship crossing into the Baltic Sea. We are on summer vacation and taking a cruise to the Scandinavian countries (and a two-day stop in Russia). As a family, we have taken about a half dozen cruises to all different places – Caribbean, Alaska, Mexico, Mediterranean (twice), and now this one. As I’ve written before, I love to travel and love to ‘collect’ states & countries the way I collected baseball cards when I was a kid. 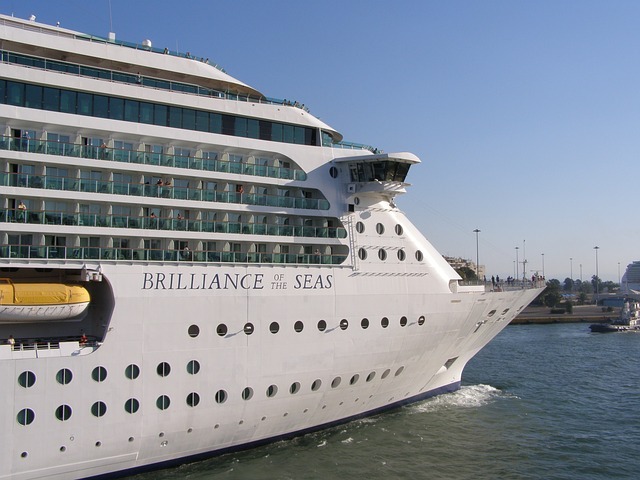 Cruises are a something-for-everyone way for us to travel as a family. My son loves the ship – the different decks to explore, the other teens to meet & hang out with, and the endless free food. My wife likes to relax – a massage in the spa, an afternoon nap at sea, or a show after dinner. I like the port visits. On this cruise it includes Copenhagen, Tallinn, Helsinki, St. Petersburg, and Stockholm. The excursions provide great history, sites and learning. It’s been written that experiences contribute to our happiness in a much greater way than material possessions. Several studies have looked at why that is. The Atlantic Monthly published an interesting article about it. For me, travel is a highly enriching experience because the reward of it doesn’t fade or need ongoing maintenance the way a capital purchase does. A new car, boat or set of golf clubs declines in value the longer you own it. Memories of a great trip a reinforced every time you look back on them or share them with others. After a trip, I love watching a movie or show that is set in an exotic locale (like a James Bond movie) and seeing places where we have been. Documentaries about the Pyramids or Stonehenge also take on a lot more meaning to you personally when you have been there yourself. Travel is a big goal of ours in early retirement. I did a quick audit of where we have traveled over the past 6 years and found that we have pretty consistently been on holiday about 20-22 nights per year. Typically, as a family we have taken a 7-14 day vacation somewhere, spent a couple of long weekends away, and usually done some camping trips. (My son is an Eagle Scout, so there has been lots of camping). My wife has take a few ‘girls trips’ as well – she has one coming up this fall to Florida. Because of school & work schedules, our trips always end up a bit shoehorned into our year. We end up going when we can and make sacrifices on either the cost (traveling in high-season) or the weather (too cold or too hot). An empty-nest friend, who works independently in an early partial retirement, told me the best months of the year to travel without restrictions are: Jan/Feb (Caribbean/beach), late-May (South cities) and late-Aug/Sep (Europe/North cities). She said you get the best of both worlds: perfect weather to enjoy (or escape from) and low-season rates, which cut 20-30% off your travel bill. That savings would practically a whole additional trip! I am putting together a plan for what travel will look like in early retirement. I’m thinking a trip for each of the four seasons and a combined 30 nights away a year. Two one week trips, one extended trip (10-14 days), and one long weekend (4 nights). I want to make up a little spreadsheet to make sure we’ve thought about the costs and that it all fits into the budget. What are your retirement travel ideas?